In the world of real-life simulators, games often fall into two distinct camps: those that emphasize realism and those that make it clear that they’re aimed at maximizing player enjoyment. Tiny Titan Studios’ Tiny Rails — a pixel-art train simulator in which the player acts as the sole conductor of a burgeoning railway business — falls into the latter camp. The game is cutesy, simple and incredibly straightforward, from the moment you start playing to the moment you’ve muscled out the competition and expanded your business into an intercontinental behemoth the likes of which Cornelius Vanderbilt could only imagine in his wildest dreams. There is no story to Tiny Rails. 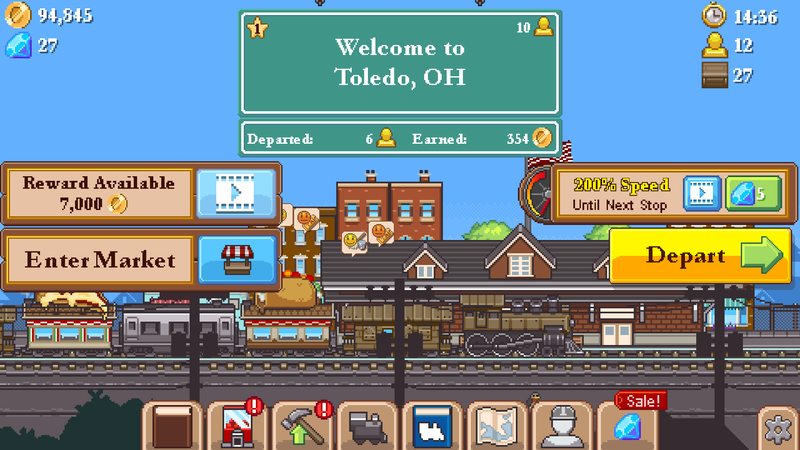 Players take control of a train and are tasked with making sure that passengers arrive safely and happily at their destinations. 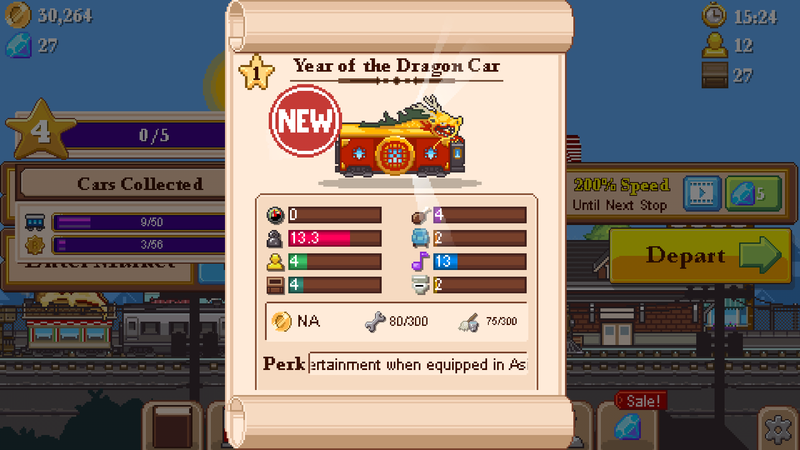 Players can upgrade their train with gold earned by picking up and dropping off passengers, as well as by selling various sundry goods at the markets in every city. 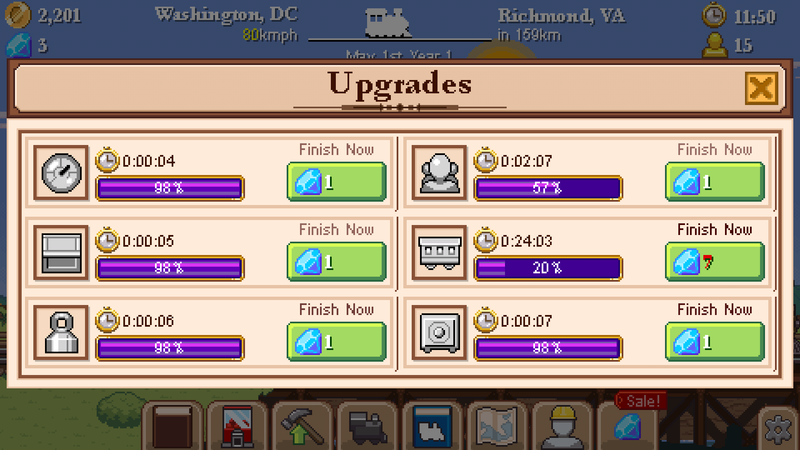 Diamonds allow players to gamble at winning new trains and, if the need arises, players can also increase or decrease the cost of riding their trains. Be warned, passengers are only willing to pay more money for better service. If your train doesn’t have a food car, if your train isn’t upgraded and customized, if your train isn’t worth riding in, then you’ll definitely a notable decline in ridership. Of course, players can spend real-world currency on in-app microtransactions, but this being a Tiny Titans property, you’ll almost never feel obliged to actually engage with Tiny Rails’ microtransaction system. The London, Ontario-based company has a very specific philosophy when it comes to microtransactions, and Tiny Rails constantly allows the player to watch 30-second ads to earn varying quantities of in-game currency. Suffice it to say, in an industry where microtransactions have become par-for-the-course, it’s nice to know that Tiny Titan has established itself as a studio intent on satisfying players over profits. Tiny Rails is also the kind of game that speaks to a very specific philosophy of mobile game design: one that eschews the traditional notion of user-driven gameplay in favour of offering a more passive experience. That’s not to say that the player doesn’t matter in Tiny Rails, nor is it to say that the game “plays itself” — as is often said about titles that haven’t quite established their identity. Instead, Tiny Rails is fun to “play” precisely because it’s the kind of mobile game that users can ignore for hours on end, return to for quick a bout of upgrades in their freetime, only to see that their company has flourished in their absence. The player matters, of course, but Tiny Rails is very much a mobile game designed for quick bursts of gameplay. It’s often been said that videogames are a modern form of relaxation. Players can immerse themselves in a fantasy landscape, save a kingdom, shoot some aliens, solve some puzzles, and feel better about living in a dark, confusing and sometimes scary world. Oddly enough, Tiny Rails doesn’t ask its players to do very much at all and, in a way, is all the more satisfying for it. After all, life isn’t really about the destination — it’s all about the journey. 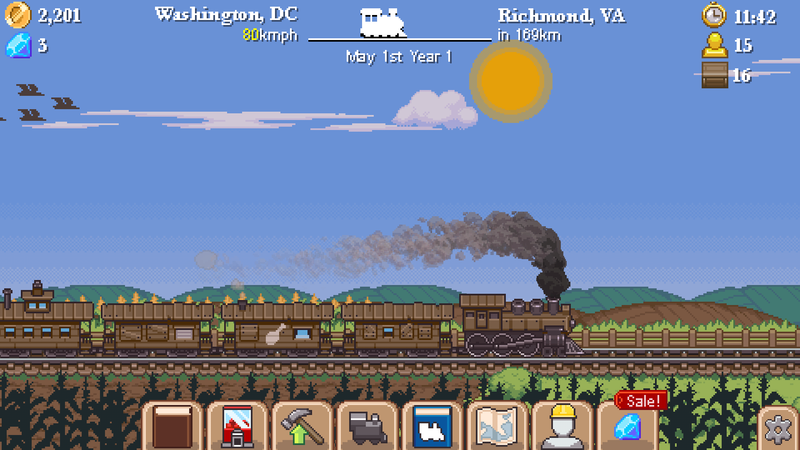 Tiny Rails is free-to-download on Android and iOS.